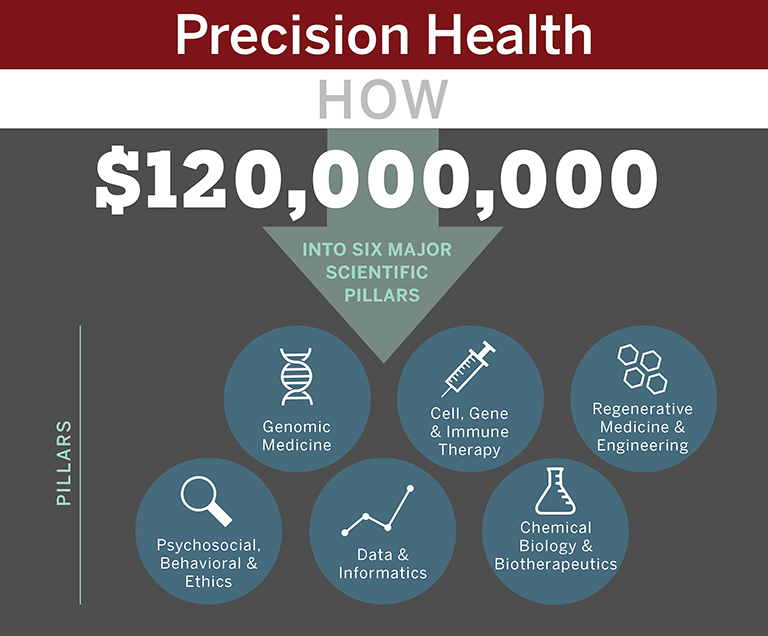 The Precision Health Initiative, selected as the first recipient of funding from the IU Grand Challenges Program, will transform biomedical research, health care innovations and the delivery of health interventions in Indiana. 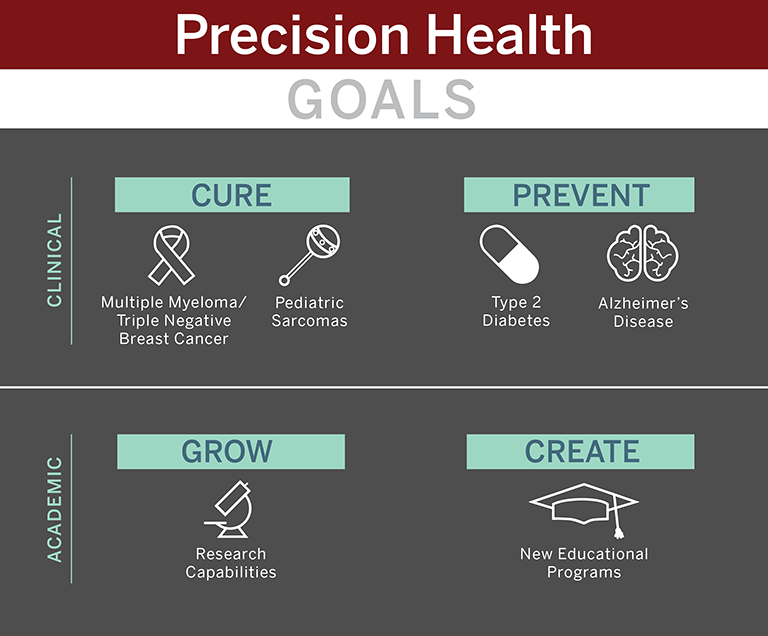 IU’s Precision Health Initiative will enhance the prevention, treatment, and health outcomes of human diseases through a more precise analysis of the genetic, developmental, behavioral and environmental factors that shape an individual’s health. Thus, precision health spans the full range of health promotion and disease prevention, as well as individualized treatment and recovery strategies. The following are clinical goals and academic goals. Clinical goals include curing 1 type of cancer and 1 childhood disease, plus pioneering a preventative treatment for 1 chronic illness, and 1 neurodegenerative disease. To reach these goals we will need $120 million dollars to be spent on geonomic medicine, cell and immune therapy, behavioral, psychosocial and ethics core, data and information sciences, and chemical biology. 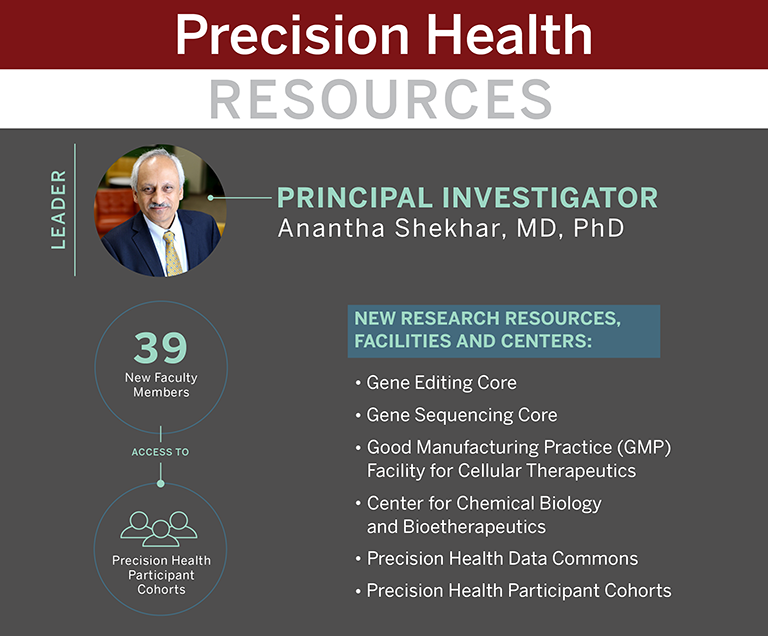 Precision Health resources include Lead and Principal Investigator Dr. Anantha Shekhar, M.D, Ph.D.; 39 new faculty members and a Precision Health participant cohort; and new research resources, facilities, and center.